Staying organized is one thing, especially when you need to start with getting organized. 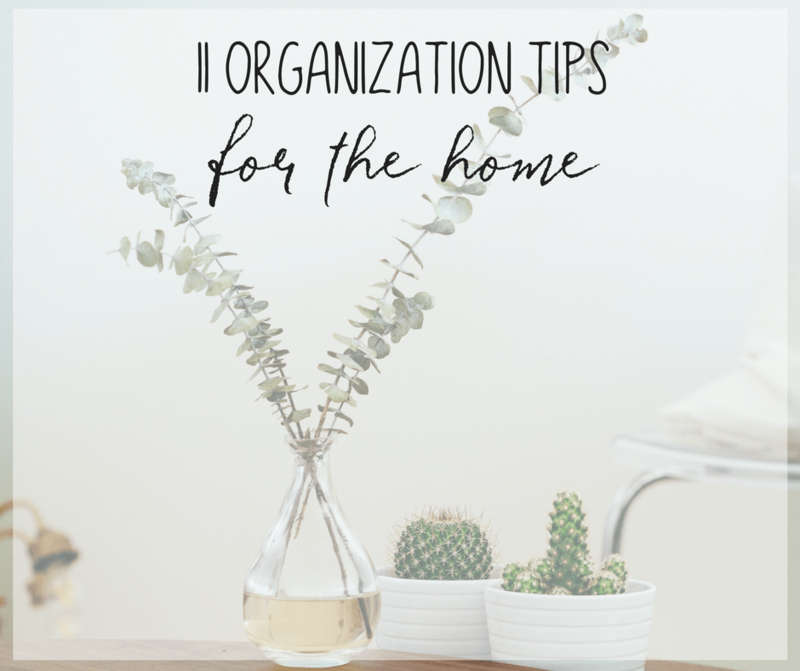 And if you’re in the latter half of that, we’re going to cover 11 easy organization tips for the home to help you get started. Getting organized doesn’t have to be a long, drawn out process. But once you are organized, you’ll really notice the difference. 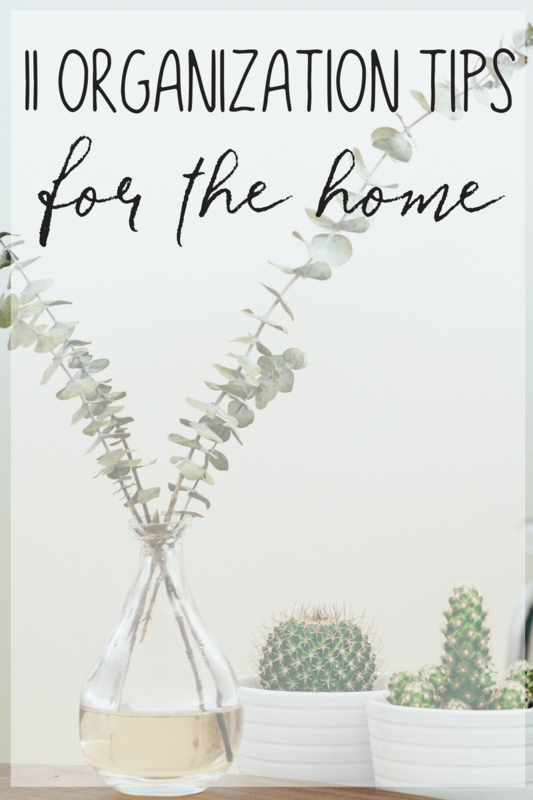 Not only will your home be less cluttered, but you’ll also be able to find things easier and you won’t feel quite as overwhelmed. 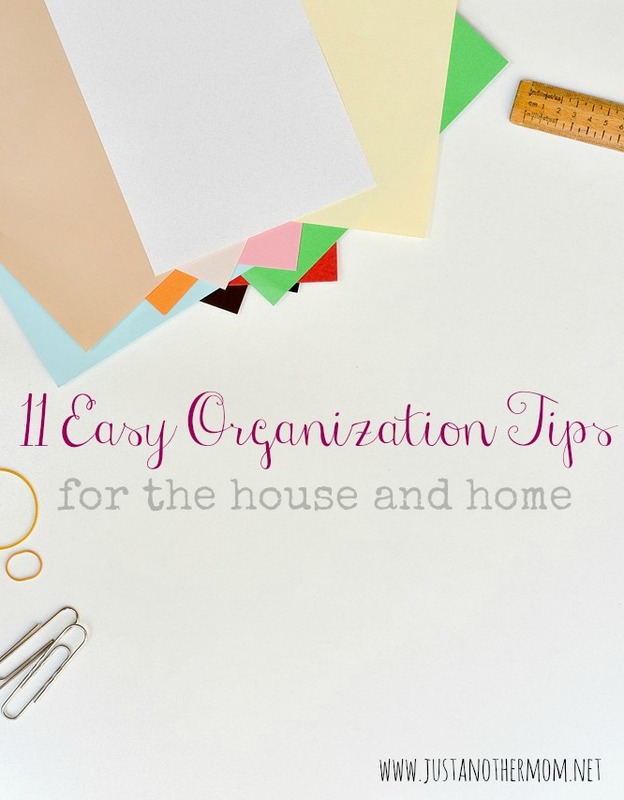 Need more organization tips? I’ve got you covered! 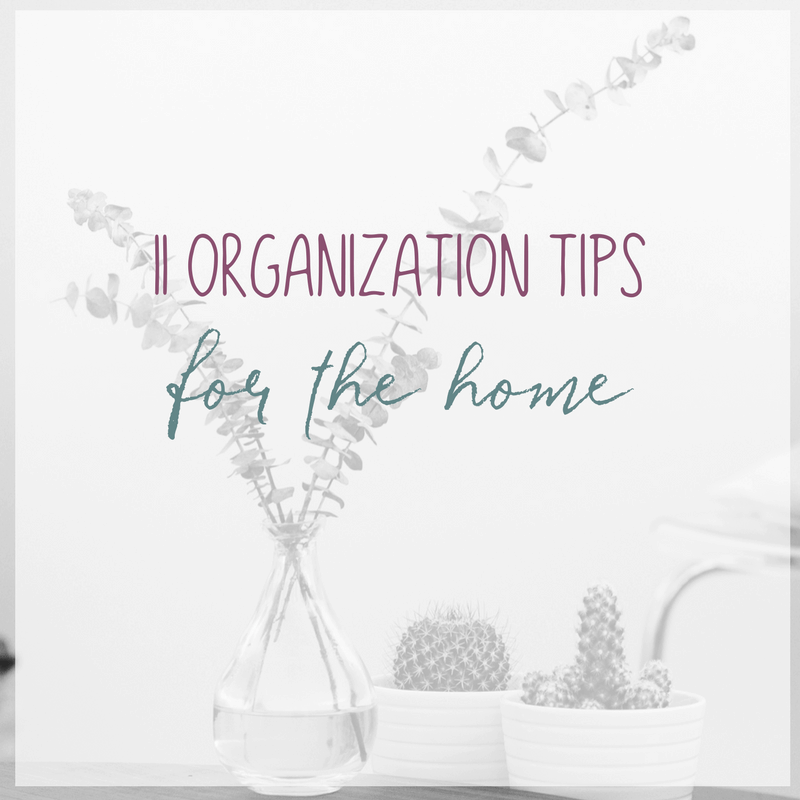 Check out Organization Tips for Stay at Home Moms! * Use Baskets and Cubbies – Build cubbies or use beautiful wicker baskets to collect the things that get misplaced around the house. * Everything Has a Home – As you set up your home, put things in logical places that make sense. For example, coffee mugs should be stored near your coffee maker, as should the sugar and creamer. * Clean as You Go – Whenever you do anything, clean as you go instead of leaving things out. Clutter is the number one reason a home looks dirty; not actual dirt. * Make Your Bed Right Away – Believe it or not, getting up and making your bed will start your day off right. Not only will you get in a bit of stretching but you’ll immediately transform your room. * Keep a Running List – Put a pad of paper on your fridge. When you run out of anything, or are just low on it, write it down. Pull off the list each time you go to the store so you won’t forget things. * Sync Calendars – Everyone in the family should have an online calendar such as Google Calendar to keep track of dates. These calendars should all be synced so that anyone in the family can easily see what anyone in the family is doing today. * Schedule Fun and Work – We have a tendency to only schedule “work” or doctor’s appointments. But, it’s also important to schedule fun time, date night, one-on-one time with your children and so forth. This will ensure that it happens. * Create a Filing System – Deal with paper only once. When you get mail, put it in the “in box”. When you touch it, make sure you open it and process it immediately, throwing away what you don’t need and filing the rest away. * Get a Trash Bucket – Keep trash in its place with a special bucket made for your vehicle. On trash day for your home, empty it as you pull your trash can out to the curb. * Use a Glove Box-Sized Accordion File – Some things you must keep inside your car, but you want to keep it organized so find a file folder that fits in the glove box for these papers. * Get a Dash Mount for Electronics – A mount for your phone and/or GPS will help keep everything well organized. You’ll always know right where your phone is, and you’ll be able to see your GPS easier. These easy organization tips will help you get organized today- even if you haven’t started on this journey before. Believe me- once you do it, you’ll be thankful that you did. Great tips for organizing your home and car.